I printed an enclosure over the weekend in ABS and had some delamination issues at the corners of the box. I used the 35nzl_draft config file in Slic3r to generate the gcode. I was hoping someone more experienced than I could help me figure out what is going on and how to fix it. Images are below. ABS has a tendency of warping when cooling and can cause splitting like that. 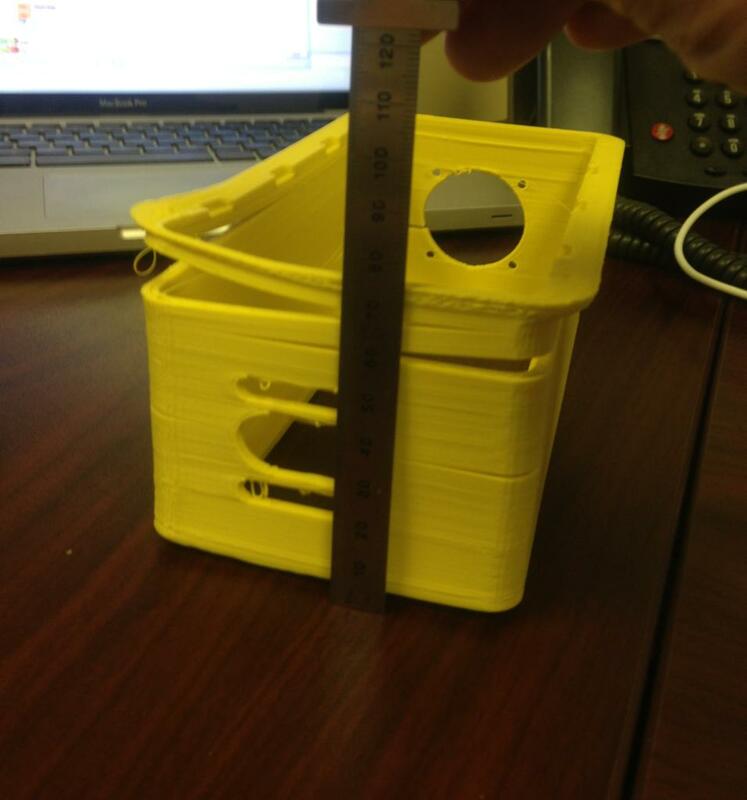 You can help mitigate that by printing a skirt the same size as the model. It will act as a barrier and help hold in the ambient/radiant heat from the bed and allow the part to cool more slowly. The "Skirt" setting is found under "Print settings". Divide your model height in mm by your layer height in mm to determine how many layers the skirt needs to be. For example, if your model is 10mm tall and you are using a 0.25mm layer height you will have 40 layers in the model. Thanks Orias! I am looking at the settings now in Slic3r. and also a Brim width setting. I understand your guidance on the skirt height, do you have any suggestions for the other settings? Set the distance from object to 4mm. If you are using the ABS & acetone solution (aka Lulzjuice) you won't need to use Brim, although you can if you wish. 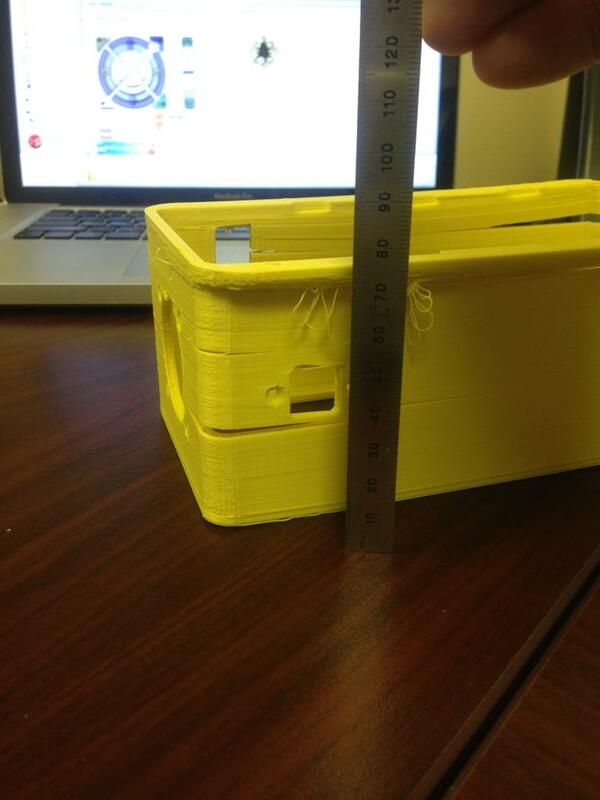 Brim will print a larger one layer base that is attached to the object to help keep the part adhered to the bed.